Hudson Valley Flying Circus | “MEET RECORDS”…. ALANA CARROLL ..13′ 0″ ..ABBY NORWILLO… 12′ 6” //// DANE SORENSEN SOARS !!! “MEET RECORDS”…. ALANA CARROLL ..13′ 0″ ..ABBY NORWILLO… 12′ 6” //// DANE SORENSEN SOARS !!! It was “CIRCUS MANIA” this weekend for the 71 Vaulters taking it up at venues all across the Tri-State area. School Records…Meet Records..Personal Bests and Mid-Season FUN was had by all. CONGRATULATIONS!!!!! NEW BALANCE GAMES,Armory,NYC—– Pittston Area,PA..senior .Abby Norwillo flew over 12′ 6″ New Meet Record with Air-to-Spare..(Old record 12′ 4″ Linda Hatfield,NY Mills 2009) and super close bars at 13′ 1.5″.. Junior Kaeli Thompson(Warwick Valley,NY) 12′ 0″ for silver…Danielle Heine(Abington Heights,PA) took the bronze at 11′ 6″ on new poles… Corah Frantz(Lakeland,PA) 10′ 6″ Indoor Record Lia Zavattaro(Greenwich,CY) 10′ 0″ Juliana Schraer(Pascack Valley,NJ) 9′ 6″ Caroline Fatta(Warwick Valley,NY) 9′ 6″PR Genevieve Reilly(Warwick Valley,NY) 8′ 6″ Haley Merchant(HH) 8′ 6″ Kristen Kolarik(Arlington,NY) 8′ 6′ Sydney Tomaine(FDR) 8′ 6″ Samantha Becker(Sullivan West) 8′ 6″ SCh Rec. Carly Schmidt(Paul VI,NJ) 8′ 6″ Lauren Barry(Emma Willard) 8′ 6″ // Boys Section… Charles Crispi(Farrell,NY) 15′ 6″ Gold… Dane Sorensen(Warwick Valley,NY) 14′ 6″ Silver…. Eugene Om(Nanuet) 12′ 0″ Ron O(Nanuet) 11′ 0″ Nick loFaro(marlboro,NY) 11′ 0″ Austin O’Malley(Goshen) 10’0″ . NEW JERSEY STATE RELAYS,Toms River Bubble,NJ —— Caroline McGann(Holy Angels) and sister..Jennifer McGann(HA) teamed up for the Gold Medal State Relay Championship for Non-Public “A” with 19’0″ (Caroline 11′ 0–Jenn-8’0)… Lauren saifi(Gov Livingston,NJ) 11′ 6″PR Mue Carroll(Matawan) 10’0″..Boys.. Dave Bausmith(Hunterdon Central) 14′ 6″..1st Group 4 Relays…. Jarod Forer(Glen Rock) 12′ 6″ Conor Reilly(Union Catholic) and Obadare Animashaun(Union Catholic) teamed up for the Gold in Non Public “A” with at 23’66” total… Justin Manne(Mahwah,NJ) 12′ 0″ Adam Stavash(Hasbrook Heights) 11′ 0″. WINTER CLASSIC @ CIRCUS—Warwick,NY —- It was all-fun at the Winter Classic @ The Barn… Boys winner was Matt Warren(Wash’ville,NY) over easily at 11′ 0″ for the White Wrist Band!!! Warwick Valley junior..Jacob Becher flew 11′ 0″… Kevin Chait(Wash’ville) 10′ 6″PR Mike DePaolo(Wash’ville) 10′ 6″ Nick Mirecki(Wash’ville) 10′ 6″ . The Girls Section winner was Kaia Becker(NJ) at 9′ 0″ Daniele Raymond(Wash’ville) 8′ 6″ Kira Coulard-Smith(new Paltz) 8’6″PR Violet Bachorik(Goshen) 7′ 0″PR Miranda Frisbee(Wash’ville) 5′ 0 Middle School Winner!!! 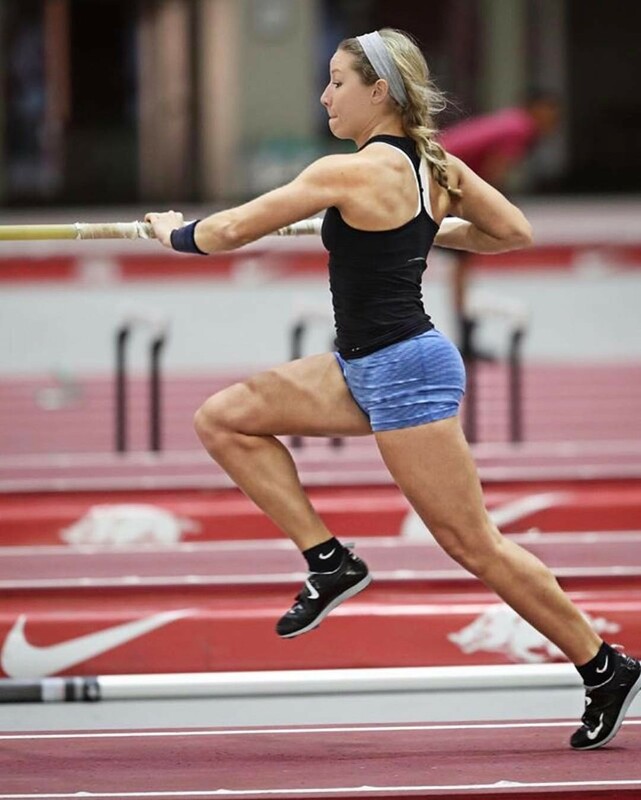 ALBUQUERQUE Invite,New Mexico—– Former Circus star..Megan “Flips” Clark sailed over 14′ 4″ for Coach Kris Mack and heads east in 2 weeks for NYRR Millrose Games Pro Pole Vault Show!! Congrats Megan!!! CONOR REILLY(Union Catholic,NJ) Flys 14′ 0″ !!! Congrats to Super-Sophomore ..Conor Reilly for his BIG 14′ 0″ clear and takes TOP SOPH in New Jersey title!!! This level 10 gymnast is coming on strong now that the 14 foot UCS Spirits are in his hands!!! The Boys Winter Classes…The final day for Boys Winter Class will be Wednesday Feb 7….this is a make-up day for our closing on Monday Feb. 5 for the Varsity Classic at Armory.. We have 25 Boys and 23 Girls entered in that meet… All should try to enter ..as per your HS Coach signing you up. The Final Day for Girls Winter Class will be Thursday Feb. 8..this is a make up day for our Jan. 16 Winter Alert Closing. Many Thanks. Flying Circus ——- NYRR MILLROSE GAMES..JR.Pole Vault–Boys & Girls & Pro Women Preview coming soon!!!! !